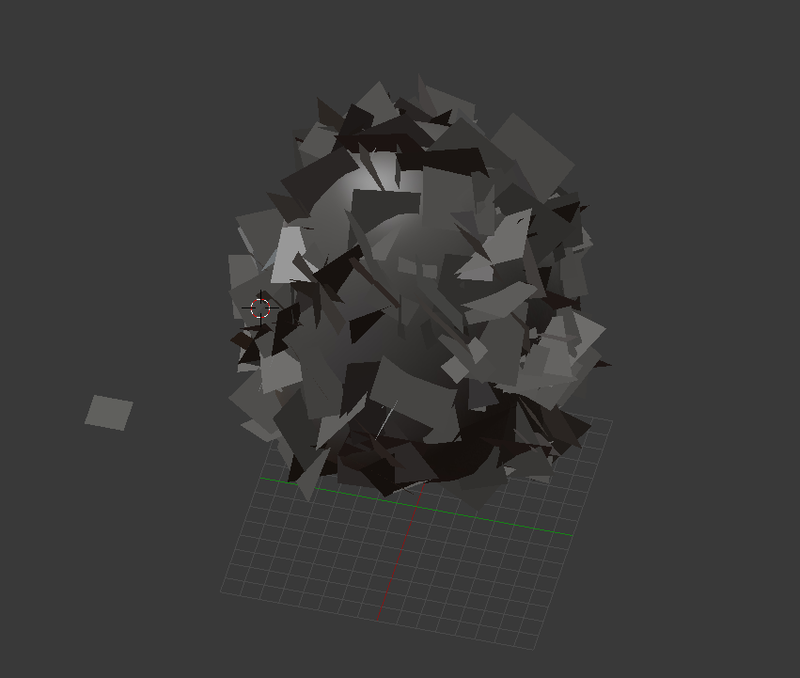 First I added an "Ico Sphere" blob and then I added a "Plane" which I unwrapped. 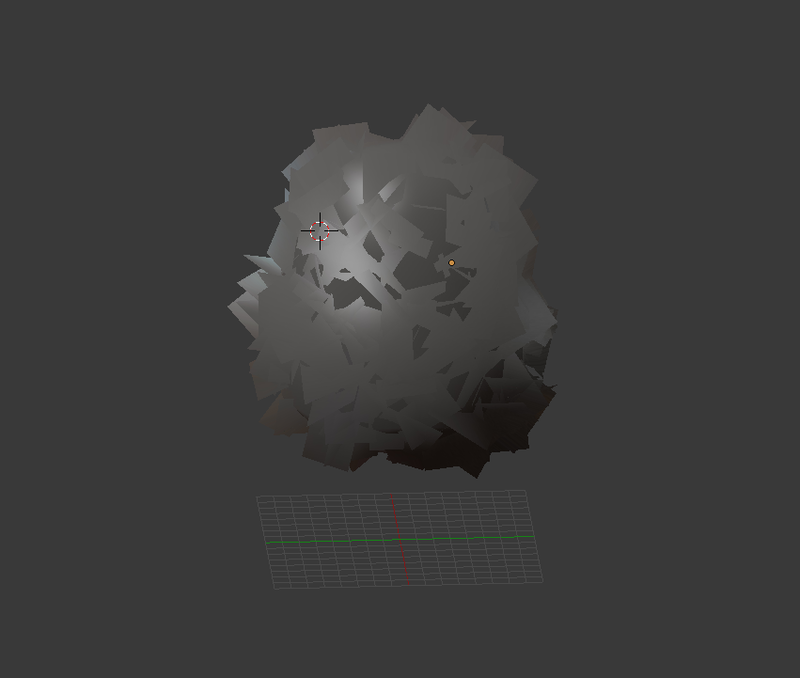 To add the leaves I added a particle system to the blob. 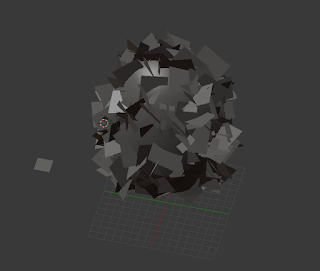 If you don't know how to randomly spread out a mesh on another mesh with a particle system, you can look at this tutorial: Blender Beginner Tutorial - Part 7: Particles. But the leaves still share the original mesh, so it may be difficult to combine them into one object. To solve this problem you select all leaves and press U and select "Object & Data & Material + Tex"
You can see that the elm is kinda round. 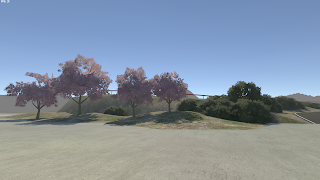 To get a less round tree shape you can instead of adding random leaf-planes to the faces of the blob (a setting in the particle system), you can add them to the volume of the blob and then not display the blob at all in the game. 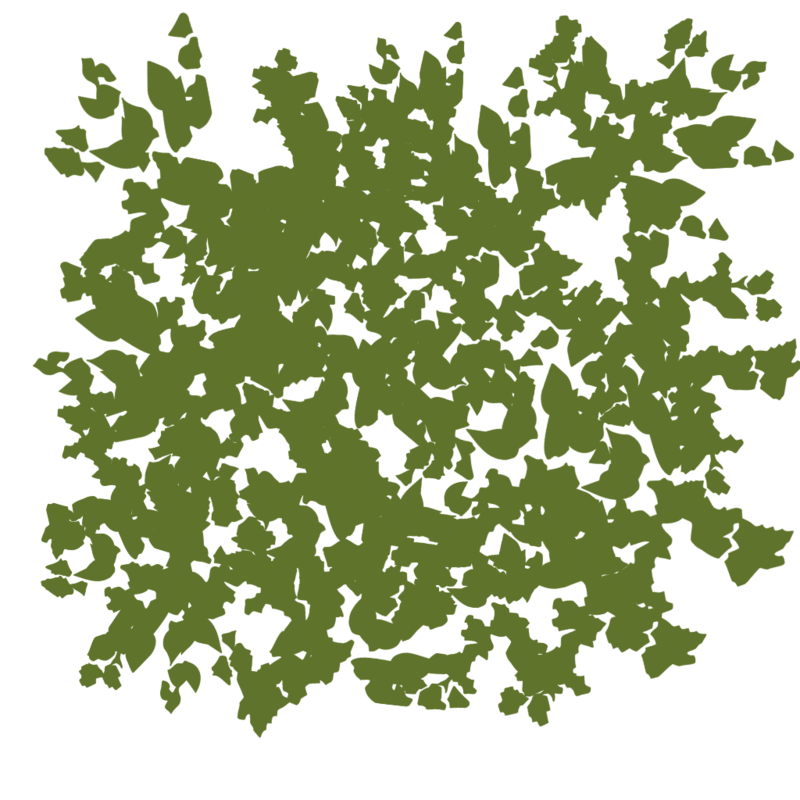 You can also add more blobs to get other tree shapes, but the process for each individual blob is still the same. The process to make the spruce tree is similar. The difference is that you add the branches (which is now a mesh and not just a plane) not to a blob, but to the to the spruce trunk with a particle system. 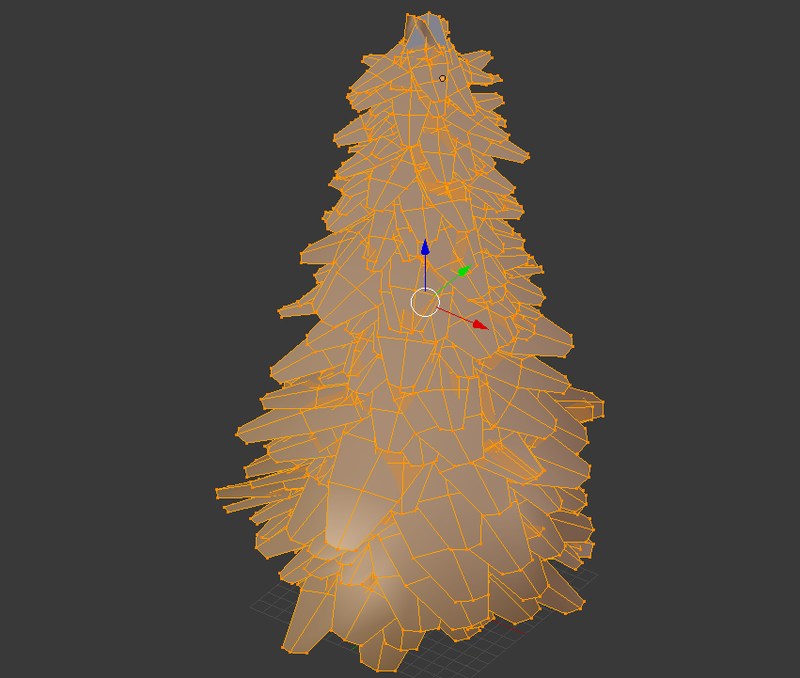 To make the shape more spruce like, you need to use the "Vertex Groups" settings in the particle system by changing the density (no branches at the bottom) and the length (shorter branches on the top). 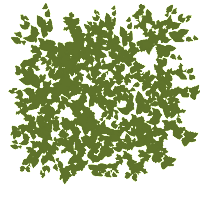 The vertex weight is a value between 0 and 1 and 1 means the longest branch. You might argue this method of making trees is inefficient. 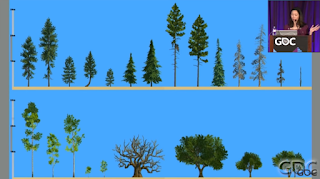 How long will it take to make an entire forest of trees? The answer comes from the game Firewatch. 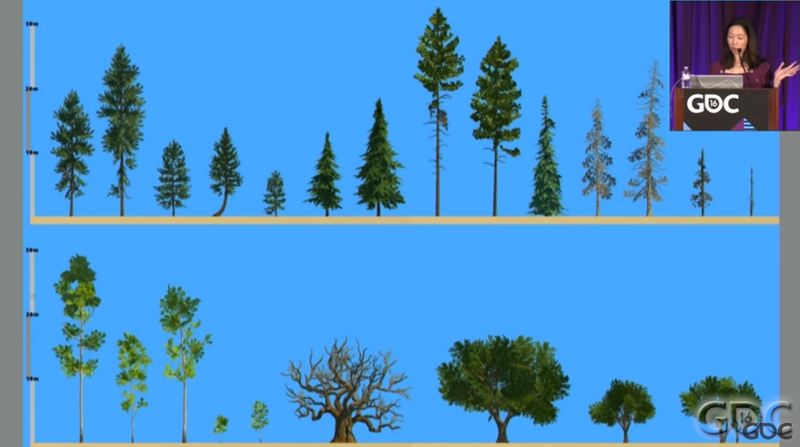 They said in a GDC talk that they only used 14 tree models to build a forest with 4600 trees. 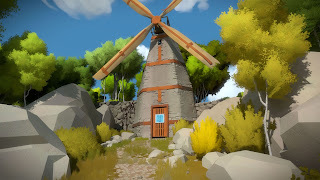 You can test the game here.